The funeral for Hanjin Group and Korean Air Chairman Cho Yang-ho began Friday. Cho’s body was transported to a funeral hall at Yonsei Severance Hospital in Seoul after arriving at Incheon Airport from the US at around 5 a.m. Friday. 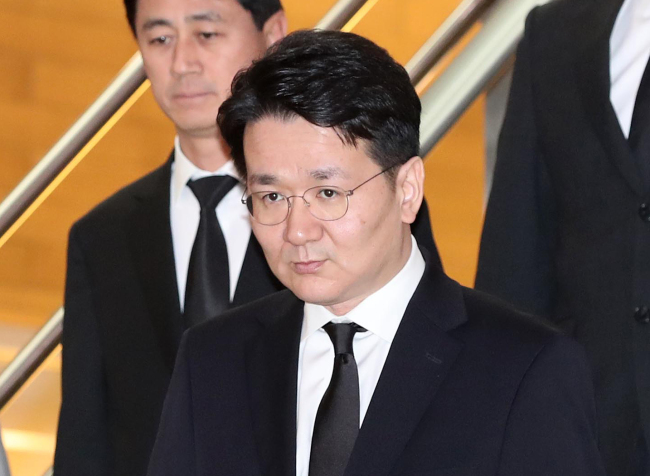 Cho’s first son, Korean Air CEO Cho Won-tae, and second daughter, former Korean Air Executive Director Cho Hyun-min, were seen leaving the airport on Friday morning. 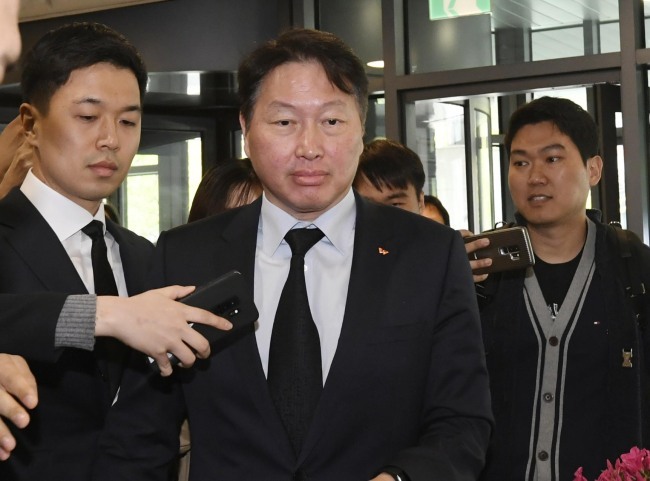 Cho Won-tae told reporters that the chairman’s last words were for him to lead the company in cooperation with other family members. The funeral is to last for five days through Tuesday, led by Hanjin KAL CEO Suk Tae-soo. Public figures started paying their respects on the first day. One of the first few to visit was Cho Choong-kun, the brother of Korean Air founder Cho Jung-hun and former Korean vice chairman. 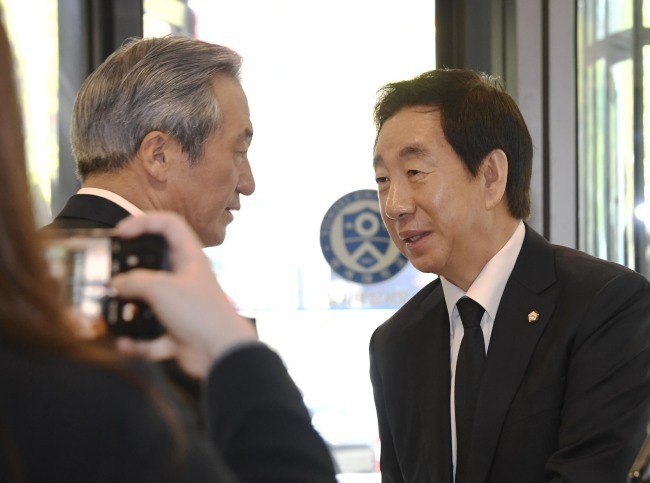 Politicians, including Chung Mong-joon, former lawmaker and head of the Asan Institute for Policy Studies, and Liberty Korea Party lawmaker Kim Seong-tae, also paid their respects. President Moon Jae-in, Prime Minister Lee Nak-yeon and National Assembly Speaker Moon Hee-sang sent condolence flowers, along with former President Lee Myung-bak, Hanwha Group Chairman Kim Seung-yeon, Lotte Group Chairman Shin Dong-bin and former Kolon Chairman Lee Woong-yeol. 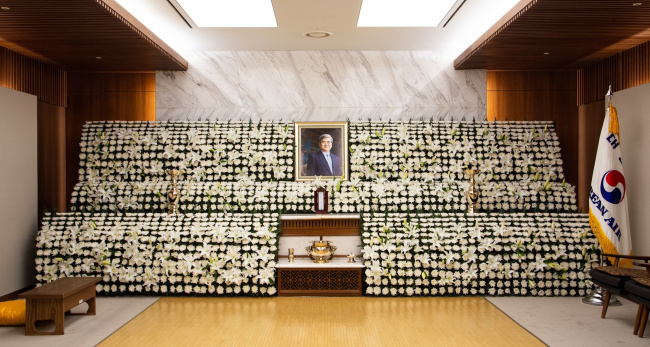 According to Korean Air, a separate funeral parlor has been set up at the Korean Air headquarters in Seoul for employees to pay their respects. The 70-year-old business tycoon died Monday at a hospital in Los Angeles, where he had been receiving medical treatment for pulmonary fibrosis since December. Korean Air said Cho will be interred at a family burial ground in Yongin, Gyeonggi Province.